Description: A celebration of beautiful light. 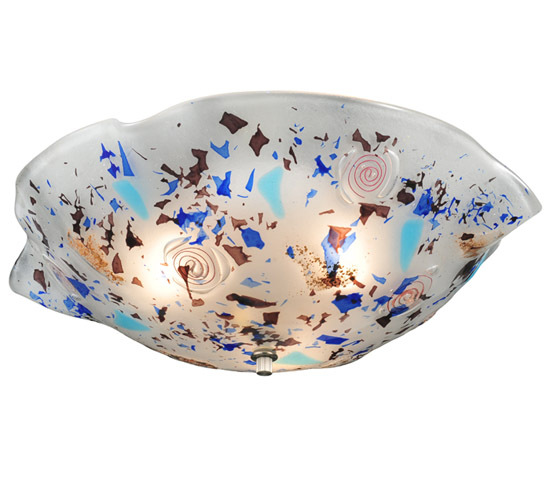 The Organic Festival ceiling fixture features vibrant colored pieces of art glass fused together. The art glass is high fired to create a unique organic shape. Custom crafted by highly skilled artisans in our 180,000 square foot manufacturing facility in Yorkville, NY. UL and cUL listed for dry and damp locations.